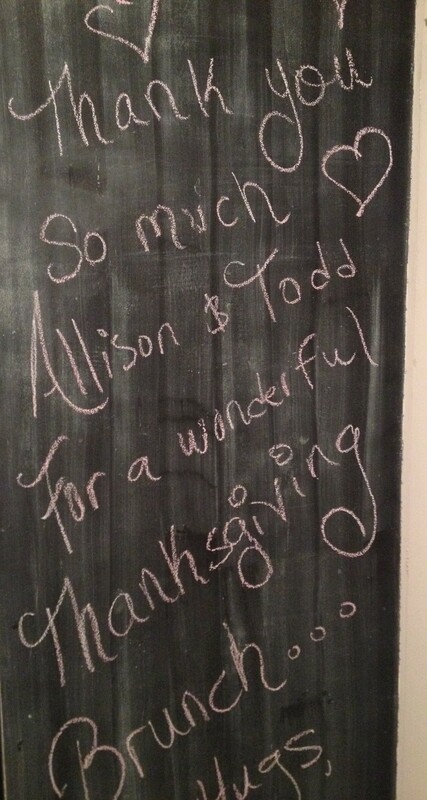 This past weekend my hubby and I hosted a “Friendsgiving” brunch and it was soo fun! Seriously I’m bummed it’s all over and can’t wait to host again next year. Besides the obvious fun of noshing on Quiche and Cranberry Mimosas with friends, it was a great kick off the to the holiday season. In my past I’ve clung to summer right up until Thanksgiving (not really hard in So-Cal) and been slightly depressed by the shorter days. 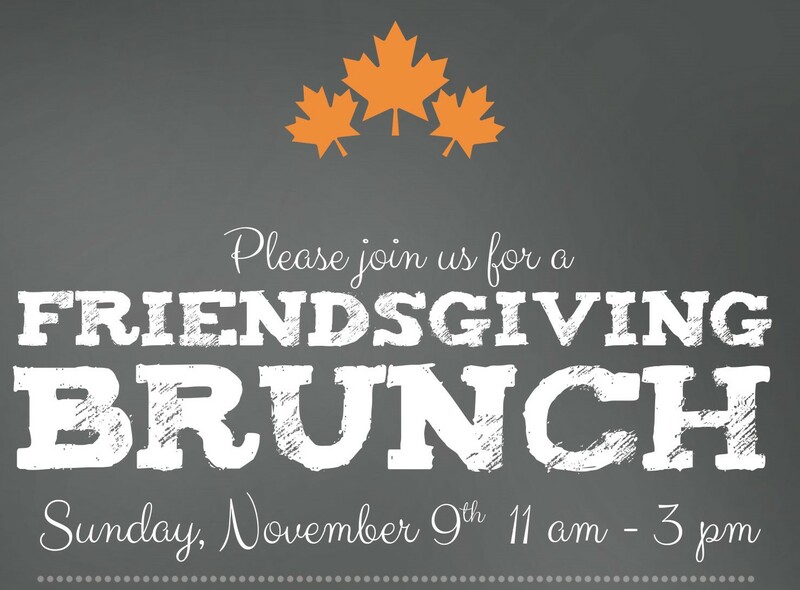 Planning this brunch gave me something fun and positive to focus on and I’m still reveling in the excitement of the day. It also was great to see our friends before everyone’s schedule gets crazy and booked. I am already making notes for next year’s party! This crustless Quiche recipe was given to me years ago by a coworker and it’s always a crowd pleaser. 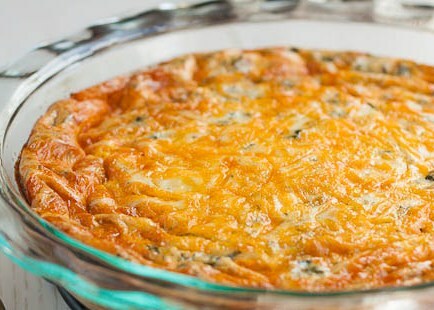 The base is eggs with lots of yummy cheese and then you add whatever you want from there. It’s kind of like a breakfast pizza pie. This time I kept it simple with sun dried tomatoes and artichoke hearts. You can find the recipe here. 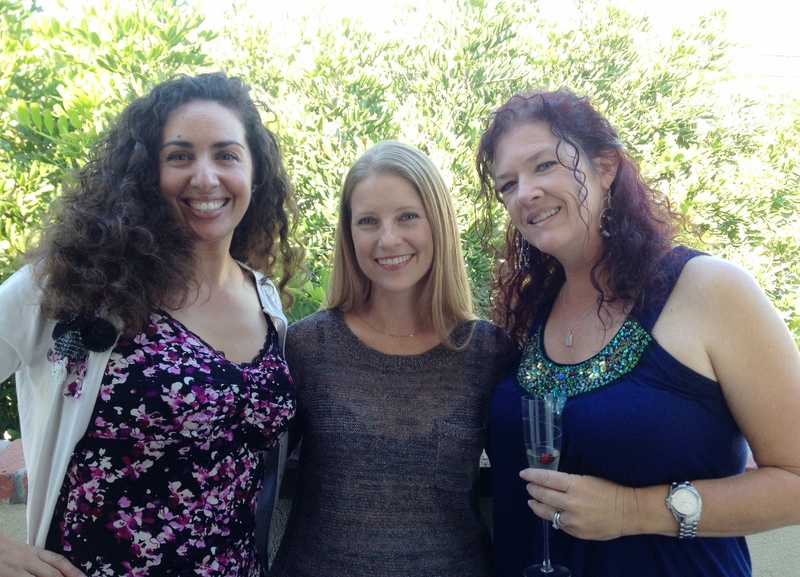 My girlfriends and me (center) taking a cocktail break…smile! 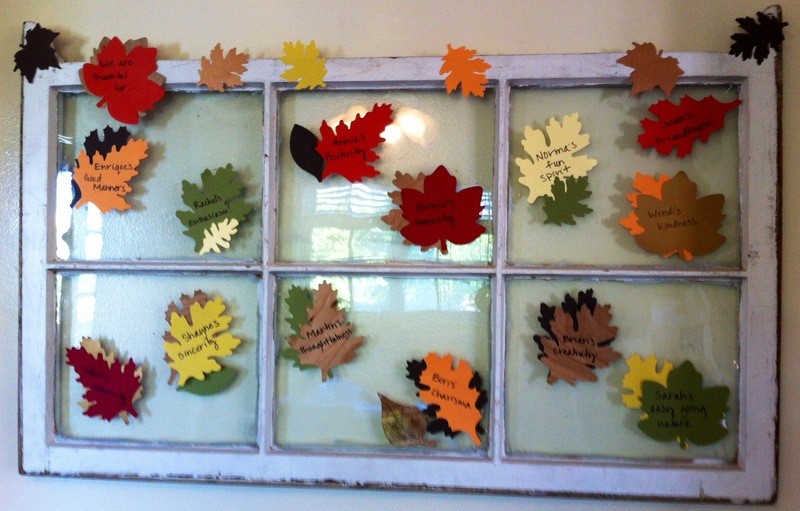 When planning decor I was inspired to note things we are thankful for in our friends on paper leaves from Paper Source. It was a really fun project thinking about all the great qualities we love in those close to us. I used the leaves to decorate an antique window in our dinning room and it added a festive note. I’ve been dying to give this cookbook to someone ever since I discovered it last May. The brunch seemed like a perfect opportunity so I decided to make it into a game. Lucky me I work with graphic designers and one was generous enough to make this sign for me. I love how it turned out! 14 Nov	This entry was published on November 14, 2014 at 8:00 am. 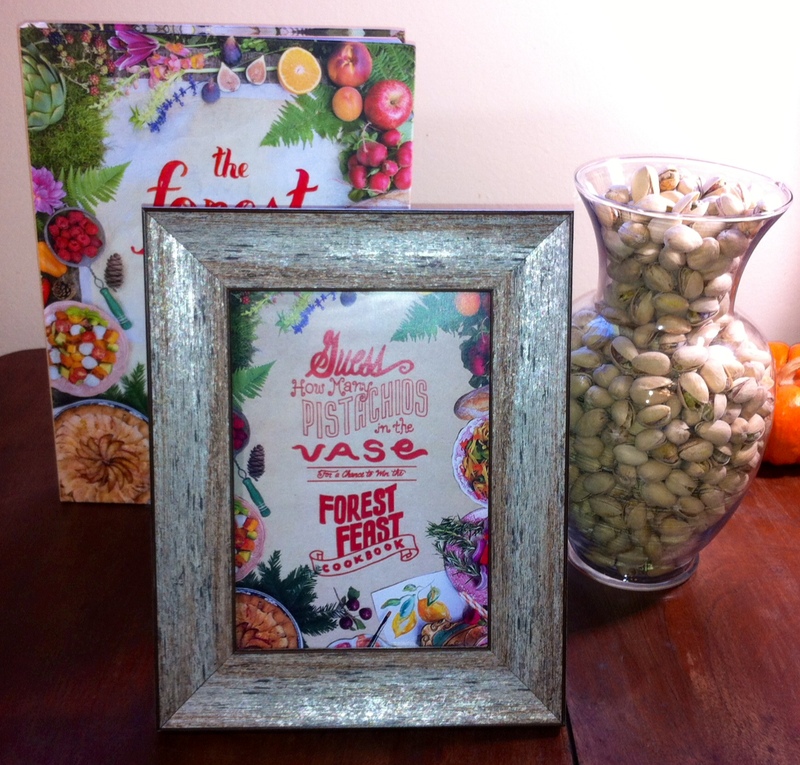 It’s filed under Decor, Food, General Fun and tagged chalkboard wall, Crustless Quiche Recipe, Friendsgiving Brunch, How to Kick Off the Holidays, Paper Source Fall Leaves, the forest feast cookbook. Bookmark the permalink. Follow any comments here with the RSS feed for this post.